Glasgows has been awarded a three-year event production contract by the Association of Teachers and Lecturers (ATL), and pitched for and retained its hold on its Lyreco account. The Preston-based agency was selected by ATL following a three-way pitch process. It has been given responsibility for producing the association's 2012, 2013 and annual conferences. Glasgows' brief will also see it produce six two-day branch secretaries conferences and three one-day independent schools conferences. George Thompson, Glasgows' head of business development, said: "We are extremely happy to be able to count ATL as one of our clients. We started working with them this year on some of the smaller events and we're delighted to have been awarded the production of their annual conference." Glasgows also pitched successfully against two other agencies, managing to retain its events relationship with office product supplier Lyreco. 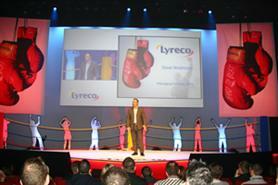 Consequently, it will produce the 2012 Lyreco Sales Convention at the ACC in Liverpool in January. Thompson added: "We have an excellent working relationship with Lyreco and I believe that we can continue to impress them with our creativity and enthusiasm."